You may be surprised to find that Atlanta is one of the most small-business friendly cities in the United States. But with 86 percent of Atlanta businesses employing 20 people or less, it's clear that the small business boom is here to stay. With so many small businesses in Atlanta to compete with, business owners are constantly looking for new ways to put their brand above and beyond the competition. One of the most effective ways to leverage your brand or business identity is with a Custom Marketing Program from one of Atlanta's best small business marketing firms: MarketBlazer. With so many potential strategies around how to inform, educate, and engage a customer, it can be difficult to identify the right ones for your business. But this is where the custom marketing programs here at MarketBlazer can add tremendous value. Whether you need a little help (or a lot! ), we'll be available to you every step of the way. Our team stays constantly engaged, thinking about the myriad of ways to best maximize your business. And we’ll meet with you on a monthly basis to review progress, brainstorm ideas, and fine-tune the approach to ensure we’re meeting all your goals. You're essentially hiring a world-class marketing expert to join your team at a fraction of what you'd spend to build a full-time internal marketing department. With our custom program, you get a specially designed suite of services tailored exactly to the needs of you and your company. At the start-up phase? No problem! Looking to break through your current profit plateau? We can help! Before we launch into more details, it's important to note there is one universal piece of the program: defining a strategy. Here at MarketBlazer, we firmly believe in the "Strategy First" approach. This approach is essential to any good marketing plan, and it's not something a business can just skip over. It codifies your marketing vision, outlining goals and how we will both measure success. It forms the base, or foundation, on which your strategy is built. Once the foundation is solid, you can begin to layer marketing tactics on top of it by using different channels and methodologies to drive results. If you attempt to take a tactics-first approach (i.e. copying whatever the competition is doing, or following the latest marketing “trends”) you’ll be wasting valuable time, money and resources by implementing an approach unlikely to work for you. Your advantage over the competition, what makes you unique in your marketplace? If you already have a strategy, that’s great! We’ll review it with you to ensure it covers all the bases and work with you to fill in any gaps. And if you’re wondering how strategy is even spelled, well, that’s ok too. 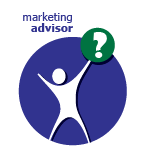 Marketing Advisory Services. If you’ve ever been the victim of groupthink, you know how valuable adding an outside perspective can be. We’ll help you brainstorm and vet your ideas, as well as add any insights we have regarding the latest in marketing strategy and tactics. Coaching and Education. You and your team will run point, doing most of the legwork on your own. However, you’ll have access to professional assistance and guidance throughout, ensuring your campaigns come in on time and on budget. We’ll also help you identify areas where you can optimize processes, save time, and cross-leverage business assets. In other words, we can help you fine-tune the marketing engine and get it running smoothly. Professional Marketing and Consulting Services. If you have an interest in learning more about the ins-and-outs of all things marketing or have a team member you'd like to designate to find out more, we can help. We'll give you hands-on assistance from start to finish, aiding in the creation, implementation and execution of your custom tailored marketing strategy. What’s more? We’ll fill in any of the skill gaps; if your team lacks the knowledge, experience, or even the desire to implement any of the tactics we recommend, we’ll deliver them for you. Marketing Program Management. This program is especially helpful if you're planning to manage things yourself, or if you don't have the budget or luxury of hiring a full-time employee dedicated to overseeing your marketing programs. We can provide the experience you want, for as long as you need it. Think of us as an extra set of hands that already knows exactly what needs to happen. Whether you want virtual assistance or an interim pinch hitter, we have everything you need, without any hassle. These are just a few of the ways you can make the most of our custom experience, and they are by no means exhaustive. The beauty of a custom program is we’ll sit down with you to determine exactly what you want, and how we can best deliver it to you. What Are You Waiting For? Better Marketing Results Ahead! Don’t waste another valuable minute wondering how you’re going to take your business to the next level. Engage the expert team here at MarketBlazer, and watch your lead generation and revenue take off like never before. Based on your goals, we’ll create a unique marketing plan, tailored specifically for you, and provide you with a detailed custom quote. To get started, please give us a call and let us know how we can best serve your business’ needs, and help you take the necessary steps towards profit and success. Do You Know the Secret to Implementing a High-Return Marketing Strategy? Are you looking for a Marketing Advisor Program where you and your team can discuss marketing strategy, bounce ideas around and gain insight to the latest in marketing tactics? Are you looking for the most cost-effective way to confirm that the marketing direction you have undertaken is sound? Do you want to take the leadership role in your marketing but occasionally get stuck and need to discuss the best next steps... Click to Read More. Are you looking for a Marketing Coach Program where you and your team can take the lead in executing your marketing strategy and do the work yourself, but have the assurance that professional assistance and guidance is there to keep you on track, on time and on budget? 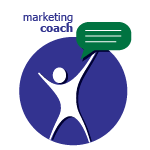 The MarketBlazer Marketing Coach Program will serve as your backstop resource. Through monthly online meetings with those responsible for changing your marketing direction... Click to Read More. 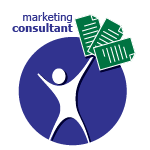 Are you looking for a Marketing Consultant Program where you and your team have complete hands-on assistance and done-for-you marketing services in the creation, implementation and execution of your marketing strategy? Are you looking to have some or all of you marketing tactics done-for-you by a professional marketing agency? The MarketBlazer Marketing Consultant Program will serve as your hands-on mentor... Click to Read More. 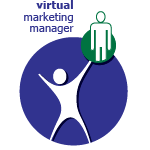 Are you looking for a Virtual Marketing Manager Program that provides the benefits of a full-time Marketing Professional without the expense and commitment of hiring a dedicated employee? The MarketBlazer Virtual Marketing Manager Program provides the experience your marketing requires without adding long-term costs to your business. You may be handling the marketing yourself or with the assistance of a marketing coordinator... Click to Read More. 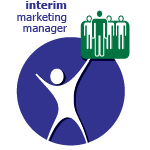 Are you looking for a Interim Marketing Manager Program that provides professional management of your marketing team during a period of transition or unexpected growth? The MarketBlazer Interim Marketing Manager Program provides your business the marketing leadership you require during short-term employee transitions. Perhaps you have had in-house professional marketing and for unexpected reasons have lost it and need to maintain... Click to Read More.